Find your colors into white peaks and blue sky! 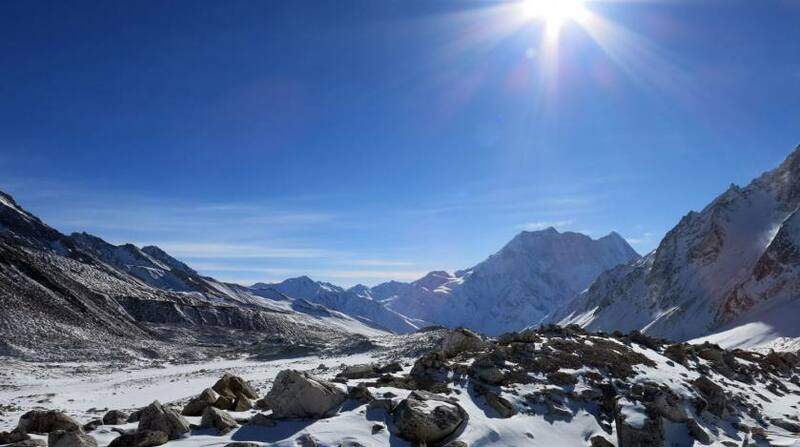 Tsum Valley and Manaslu Larkya La Pass Trekking is one of the fantastic journeys to the cultural villages through varied landscapes and valleys dominated by the snow capped mountains. It is a wonderful opportunity to learn about the typical lifestyle of people living in remote areas and their cultural practice while enjoying a beautiful walk through lush vegetation, ancient monasteries, arid valleys and gorgeous mountain sights. 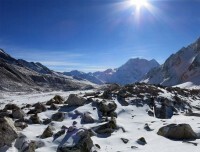 Manaslu region was opened for travelers in 1992 and Tsum Valley was recently opened in 2008. 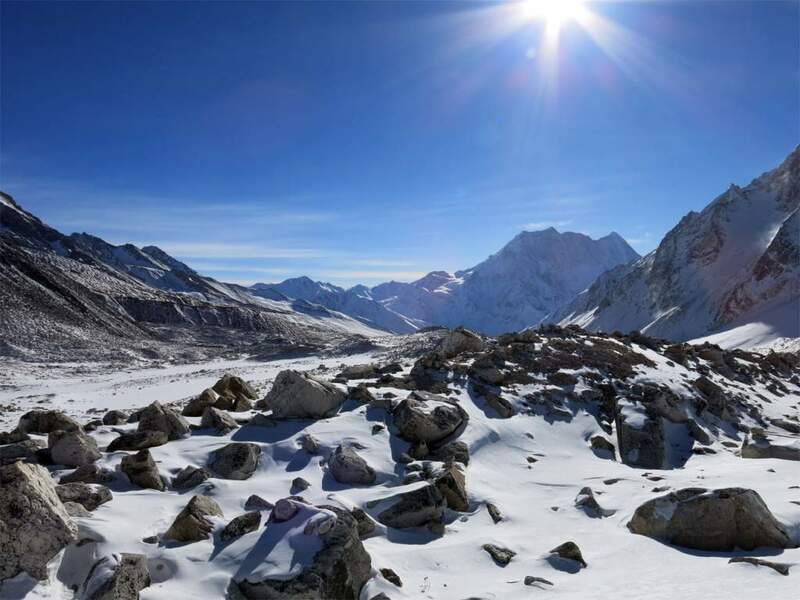 And since then, trekking to Manaslu Larkya Pass and Tsum Valley has been the favorite route for travelers and reviewed as one of the satisfying journeys of a lifetime. The major attractions of trekking to Tsum Valley and Larkya Pass is the perfect blend of culture and adventure, as much as there are monasteries and remote social life of people to understand, there are tiring walk and long hour adventure walk in high elevation too. It is an ideal route to witness the beauty of diverse nature, varied landscapes, mixed ethnic people and their typical cultural practice. Trekking to Tsum Valley and Manaslu Larkya La Pass starts with 7-8 hours drive from Kathmandu to Arughat Bazaar, where we stay overnight and enter Budi Gandaki Valley through colorful villages, beautiful waterfalls, lush vegetation, long mani walls, chortens and monasteries and natural hot-spring. After Jagat, we start ascending to reach the junction near Lokpa, from where we take our first course to enter Tsum Valley. We hike until Mu Gompa passing through several ancient Buddhist monasteries and small settlements encountering with local people and Buddhist monks learning about the socio-economic aspects of the area. From Mu Gompa, we retrace our path back to Chonkang Paro and soon join to Larkya La Pass trekking route at Bhi Phedi. We continue through Buddhist villages and more monasteries along the way and reach Sama Gaon for a day rest and acclimatization. We will visit Manaslu Base Camp for acclimatization. From Sama Gaon, we slowly ascend towards Dharmasala and stay overnight before crossing the Larky La Pass (5160m). We start slowly in the very early morning for the pass and then descend towards Bhimtang village and later to Dharapani to meet the Annapurna Circuit Trails. We will try to enjoy the local jeep in uneven roads from Dharapani to Bhulbhule and next day drive to Kathmandu.